Of the several different crosses over the past 38 years involving Japanese irises, Iris ensata that have stood out, I would like to share with you my most rewarding to date, ‘Night Angel’ (Aitken 1996) X ‘Frosted Intrigue’ (Bauer/Coble 1997). Looking to the background of the two parents you will find many different patterns, selves, rims, sanded, blazed, veined, and rays. Pictured here are but a few of the lineage check out the AIS Wiki for more photos of the grandparents and great grandparents. The cross ‘Night Angel’ X ‘Frosted Intrigue’ I have made twice now for myself. A small trial planting in 2002 with about 30 seedlings produced 15 seedlings worthy to line out to take a second look at. Of these, four were eventually selected to be introduced. Because of the high percentage of worthwhile seedlings I remade this cross to line out several hundred more seedlings. The first that caught my eye with its maiden bloom in the seedling field was 08JE1, introduced last year as ‘Koto Harp Strings’. 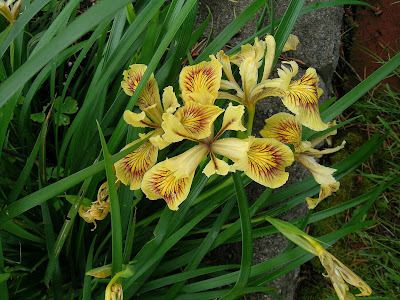 Many other siblings have been lined out and also guested to the 2020 Japanese Iris Convention to be hosted in Nova Scotia, Canada. Following are a few of these 2008 seedlings that have been reselected for possible future introductions. As you can see with the seedlings and introduced varieties from ‘Night Angel’ X ‘Frosted Intrigue’ that the pattern breakout is wide and varied. I share this information to hopefully entice someone young and new to hybridizing to raise the tweezers and try their hand with Japanese iris, Iris ensata. Among the dozen or so species of Pacifica Iris, foliage is outstanding in only a few. By outstanding, I mean not simply green, but evergreen, and more, a luscious green color--dark, medium or light green, golden to blue-gray in tone. Leaves should also be shiny, substantial in feel, and durable. This creates a lovely dark anchor to other plants in the garden. 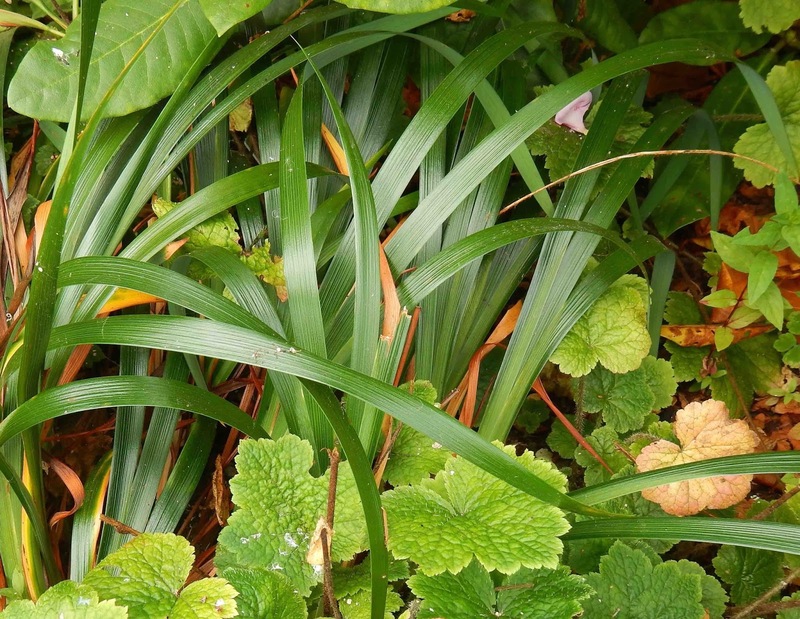 Iris's shiny dark green fans are a good foil for dying fringecup foliage, and give the ground cover at a time when taller plants are flowering. Some Pacifica Iris foliage is lustrous and green year round. Use it in the garden to balance other plants even when it is not in flower. One of the oft-repeated statements made about Pacific Iris is that leaf fibers were used by Native Americans to weave nets to trap, among other animals, elk. Hefty fiber levels in leaves means durability, and durability plus evergreen elevates foliage from one season to four. Take time to search out those sturdy-leaved species' selections and hybrids--they have year round presence in the garden. I. innominata during flowering: leaves are dark green, shiny and durable. Iris innominata and its close cousin Iris thompsonii have narrow, dark green, evergreen leaves less than fifteen inches long. These species grow in dense tufts to slowly increasing circles, and then rings, if you are slow to divide and replant. They are useful as foliage accents in small scale spots or along border edges, planted with other low growing plants, including primroses and small bulbs. For larger plants with a bigger garden presence, look at Iris douglasiana. Many hybrids and selections of this species have light to medium green leaves, which may or may not look good fall through spring. 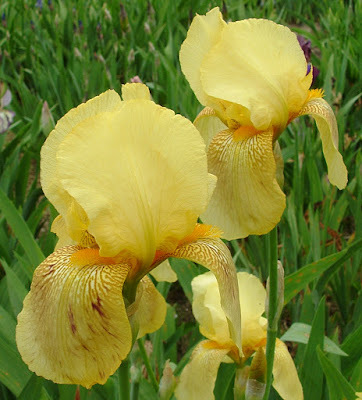 A few have striking dark green foliage, which gives these irises a strong garden presence year round. Leaves range from less than twelve inches to more than thirty inches long. 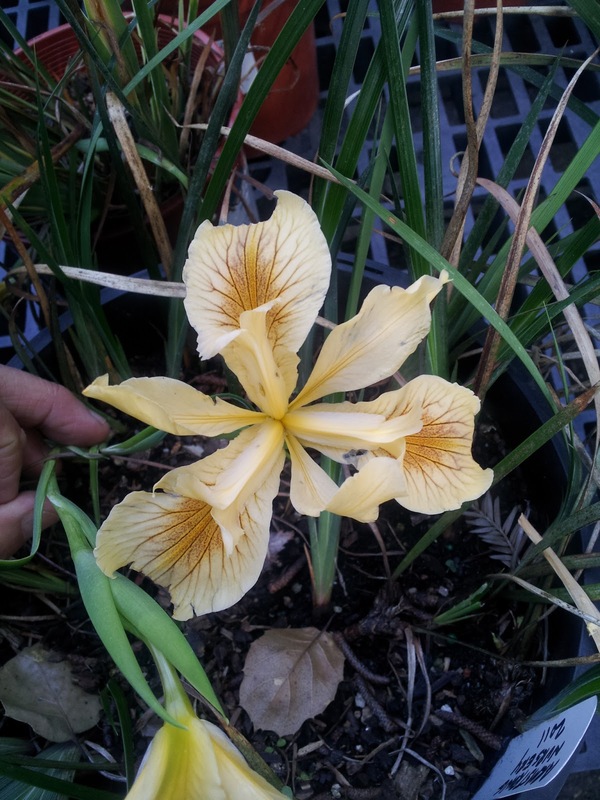 I mentioned the lack of tall Iris douglasiana in current hybrid and species offerings a few months ago. Another reason to seek those tall vigorous Iris douglasiana selections is to have foliage for the mid to back borders. Iris douglasiana, wild form, has great year round foliage, here it grows with fringecups, Tellima grandiflora (Saxifragaceae) and a rhododendron. This wild-collected Iris douglasiana is from Cape Blanco, Oregon; it has medium lavender flowers of basic species appearance, but the foliage is outstanding. 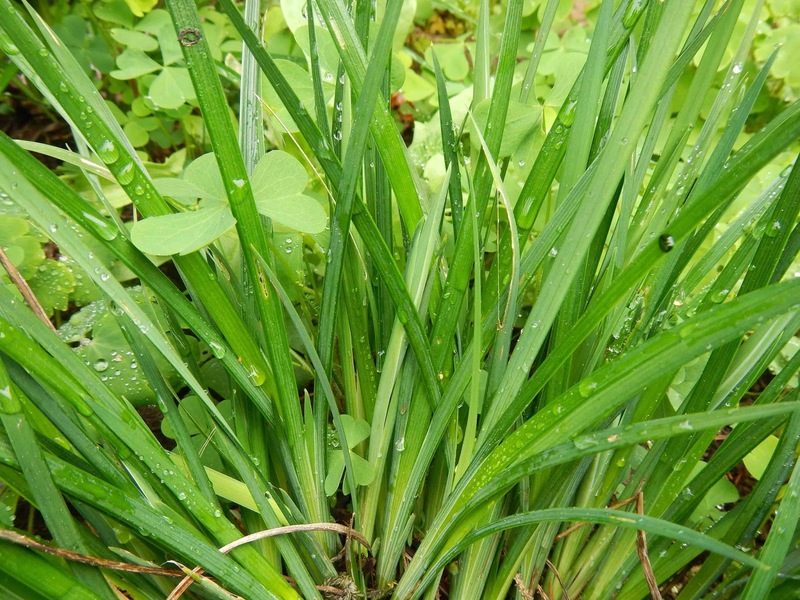 With leaves around twenty inches long, foliage on this iris is striking dark green on a medium sized plant. I grow this one for its luscious foliage; the flowers are an added benefit for a few weeks each year. I. douglasiana x I. chrysophylla is taller, vigorous, with foliage that looks good year round. Another good foliage iris is an Iris douglasiana x I. chrysophylla cross. Flowers are purple and small, but the foliage is outstanding, medium green, shiny and lovely year round. With leaves more than twenty five inches long, this plant makes vigorous fountains of green all year—a good plant for mid border locations. 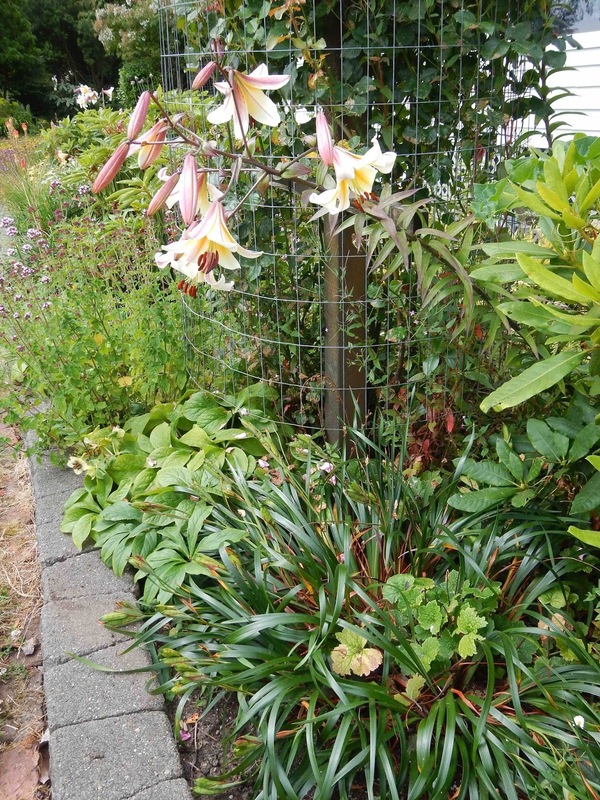 It is especially nice interplanted with lilies: Summer-flowering Lilium ‘Cascablanca’ is short enough to be balanced nicely by the dark green fountains after this iris is done flowering in spring. Iris 'Burnt Sugar' is an unregistered Pacifica Iris, probably an I. douglaisana x I. innominata hybrid. Flowers are species-like, and the evergreen foliage is excellent. Look for outstanding light green to yellow-green foliage, short to tall, and for good foliage irises taller than thirty inches, also for any sign of white striping on dark green leaves, and other color variations on green, including red to purple. Readers: tell us about Pacifica Iris selections that have great foliage, and please post here if you have plant suggestions to share. In 2013 Texas had a wet and very cold winter. We had more snow than we had seen in years. The April 2014 bloom season was spectacular. From the SDBs to TBs and beyond. Winter in 2014 and 2015 had enough cold winter weather to give us good bloom. Then came last winter. Actually, what winter? In December when the Christmas Day temperature was 82 degrees and New Year’s Eve was 73 degrees, we knew the iris bloom season was in jeopardy. And, it didn’t get better when on January 31st the high temperature of the day was 79 degrees. When I saw various bearded irises blooming in December and January I asked friends if they thought the bloom was “rebloom” OR what would have been our April spring bloom. We all had no idea. In April, we knew the sparse bloom we had seen in December and January was “the spring bloom” because we kept waiting and kept waiting and we had no additional bloom. Maybe 20% tall bearded irises bloomed and very limited (if any) of the medians bloomed. The Louisiana and Spuria bloom was not damaged by the mild winter. We skimped and scraped and came up with enough blooms for our iris shows and we shrugged off the fact that we could not control Mother Nature. We saw more than normal increases on some of the plants because they did not use their energy to bloom. 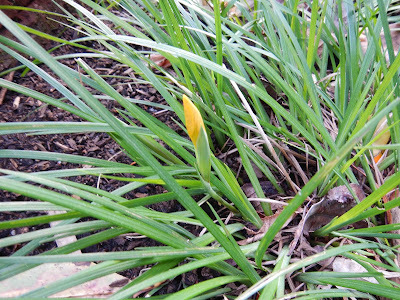 On other plants we noticed something that we had not had much experience with – “lightbulb” bloomed-out rhizomes. Lightbulbs are rhizomes with no increases and the roots wither away. Now I can spot the “lightbulbs” before digging. The rhizome increases in size and twists slightly as if it is pushed out of the ground. This could be the result of the roots drying out. Some of the “lightbulbs” bloom. The bloom stalk comes up in the middle of the fan and dies back quickly. The rhizome eventually dries up and dies also. When I see a lightbulb rhizome sending up a stalk, I have unsuccessfully tried to make crosses on the blooms. I was hoping to force a pod and force the plant to increase. While my experiments and observations are interesting…………I hope we have a colder winter in 2017 and eventually get back to good iris bloom and the “lightbulbs” are a thing of the past. However, as I write this article we are 2 ½ weeks from Thanksgiving and our Dallas temperature high today was 91 degrees. Global warming? – I’m not sure; however, I’m beginning to believe it is. 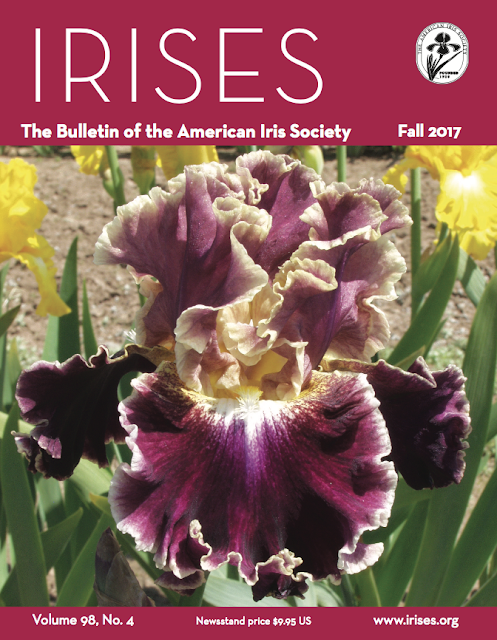 A warm welcome to those who are seeing IRISES, the Bulletin of The American Iris Society for the first time. If you are a member of The American Iris Society I hope you enjoy this new edition, which you will receive via U.S. Mail very soon. The Fall 2017 issue of the AIS Bulletin will also be available soon for online viewing and accessible via the Emembers section of the AIS website. On the cover this edition, 2017 Dykes Medal Winner ‘Montmartre’ (Keith Keoppel 2008, TB). Note: to access this area of the website you must have a current AIS Emembership. AIS Emembership is separate from the normal AIS membership. Please see the Electronic Membership Information area of the AIS website for more details. 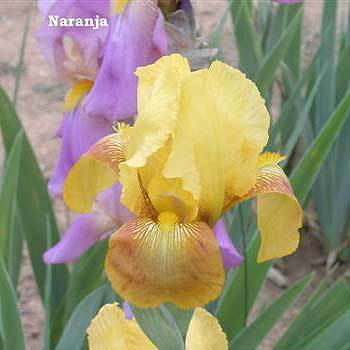 Don't miss the listing of all award winning irises, on pages 14 — 20 with the title, AIS 2017 Awards. 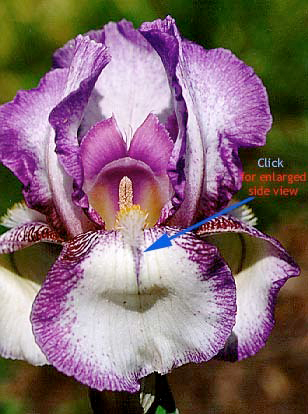 A fascinating view at genealogy of irises with the article by Maryann Schicker, titled Introduction to the Vertical Genealogical Chart, on pages 22 — 25. A beautiful description of the Florence Iris Gardens by Florence Darhenay, in her piece called A Walk in the Giardino, on pages 26 — 29. Lovely images included. Debbie Strauss says adieu to the last AIS Silent Auction she and Nick Steward put together. Her article is called AIS Silent Auction and is on page 30.
International Iris News gives us but a glimpse of iris news from outside the U.S., compiled by Bruce Filardi, on pages 39 — 41. 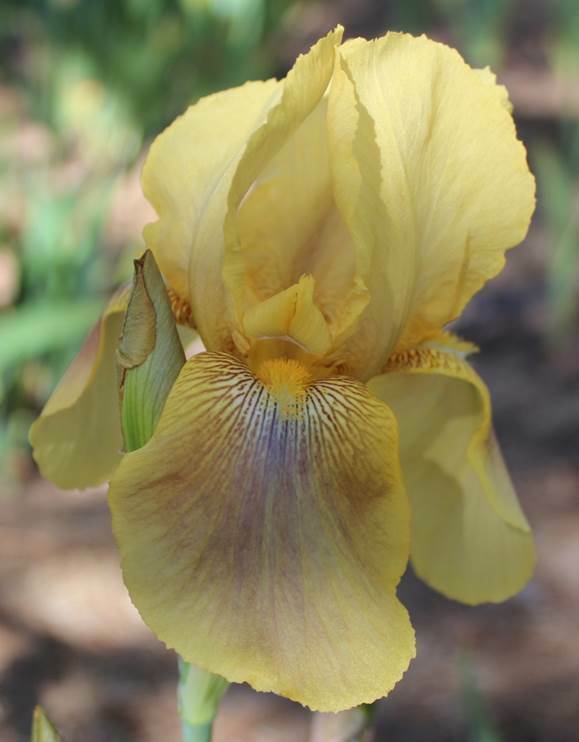 A reprint from our own blog, by Susanne Holland Spicker, called Older Tall Bearded Irises ~ Timeless Beauties on page 43. There's a lot more to see and read in this edition of IRISES, either in digital or print formats. If you are an AIS member know that you will receive the print edition soon (it's in the hands of the U.S. Post Office), or if you are an e-member, then that version will be a available online soon. 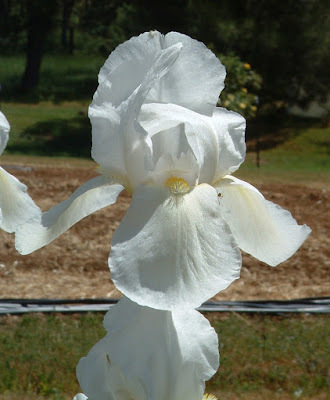 As the president of the iris club that bears his name, and as a longtime staff member at the University of California at Berkeley, I have always felt an affinity for Sydney B. Mitchell, one of the most prominent California iris hybridizers of the early 20th century and a distinguished scholar of library science. Sydney B. Mitchell was born in Montreal, Canada in 1878, and received bachelor and master of arts degrees from McGill University in Canada. He also was given an honorary Doctor of Literature degree from Occidental College. 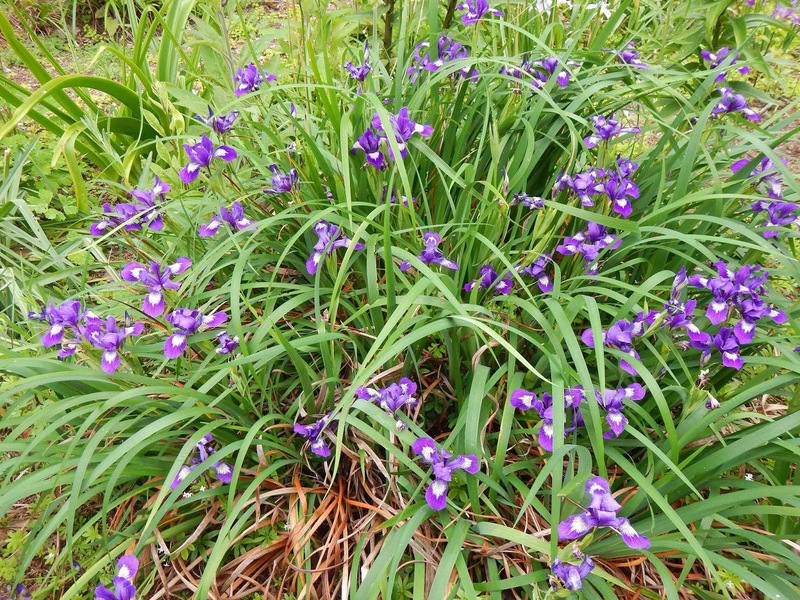 While a student at McGill, he befriended the university's gardener, who gave him his first iris plants. Mitchell's brother allowed him to grow his iris in his back yard, and he soon had a sizeable collection. His wife shared his interest in plants, and when they moved to California in 1911 they began their lifelong collaboration in the garden. Mitchell was as distinguished in his "day job" as he was as an irisarian. 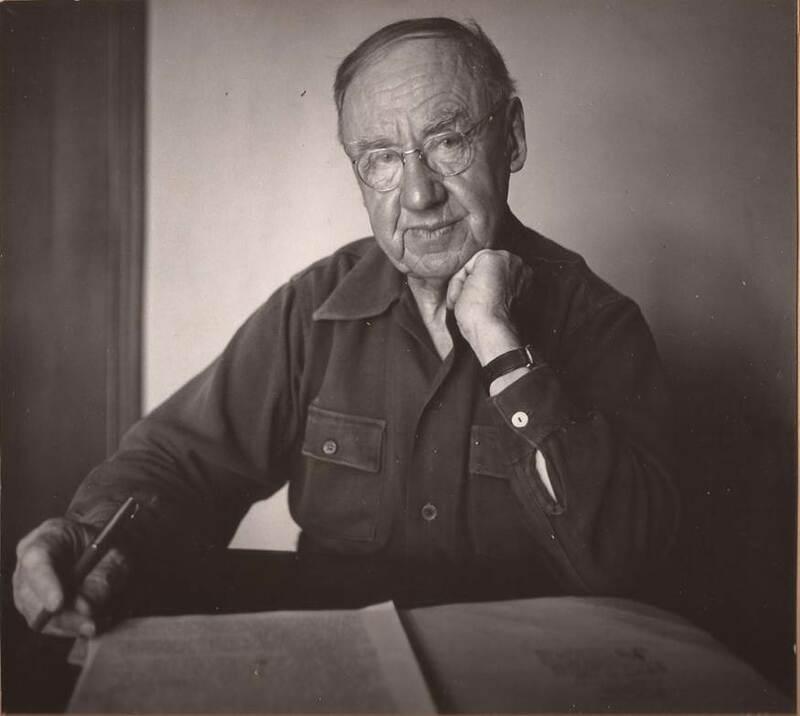 He joined the UC Berkeley library staff as head purchaser in 1911, became acting librarian for the university during World War I, and founded and became the first director of the Graduate School of Librarianship in 1924. He was named dean of the school in 1944, and retired as Dean Emeritus in 1946. He was also a member of the executive board of the American Library Association, vice president of the California Library Association, a fellow of the American Library Institute, and advisory editor of Library Quarterly. He had a lifelong interest in horticulture, and was the first president of the California Horticultural Society (a position he held until his death), as well as its journal editor. He was also a founding member of the American Fuchsia Society. In addition, he was a renowned author, and wrote four books: Gardening in California, From a Sunset Garden, Your California Garden and Mine, and Iris for Every Garden. Mitchell's greatest achievements in hybridizing, however, were in collaboration with others, particularly his work with William Mohr. 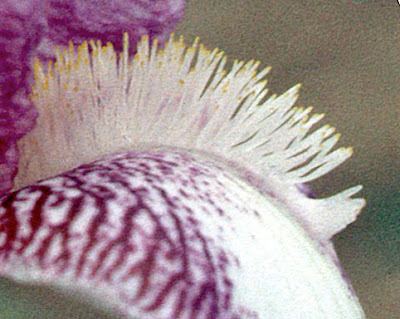 Upon Mohr's tragic death at a young age, Mitchell continued the work with Mohr's seedlings, introducing the best ones and hybridizing to further Mohr's breeding lines. One of the early introductions from these seedlings was 'San Francisco,' the first winner of the U.S. Dykes Medal. Mitchell initially ran a commercial iris garden at his home in the Berkeley hills, but when he became more interested in hybridizing he sold the commercial enterprise (and its accompanying acreage) to his friend and neighbor Carl Salbach, whose business sold and introduced iris (as well as dahlias and gladiolus) from the mid-1920s to the 1950s. Mitchell was also the (inadvertent) originator of space age iris. In his breeding program he developed a plicata with a curious extension on its beard (later introduced as 'Advance Guard'). While Mitchell was uninterested in pursuing the possible ramifications of the trait himself, he passed the seedling along to fellow hybridizer Lloyd Austin, whose hybridizing work with it eventually resulted in "space age" iris with horns, spoons, and flounced on their beards. Mitchell was involved in the organization of the American Iris Society, and frequently contributed to its bulletin. 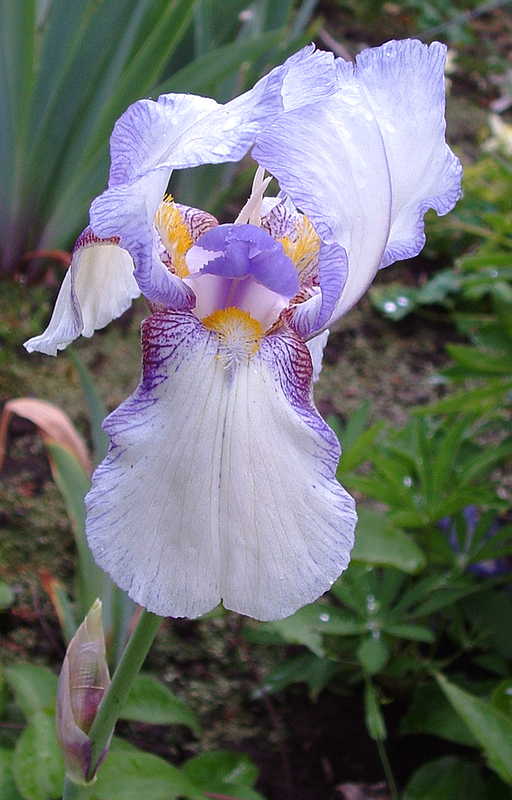 He was one of the sixteen writers contributing to the AIS publication The Iris - An Ideal Hardy Perennial. He served as chair of the species committee until the end of his life, and was a longtime custodian of the California division of the Farr Memorial Library. He was honored with the AIS Hybridizer Award in 1941, and with the British Iris Society's Foster Memorial Plaque (given to persons contributing to the advance of the genus Iris) in 1943. Sydney B. Mitchell passed away in 1951. A few years later, the iris club in Oakland was named in his honor. 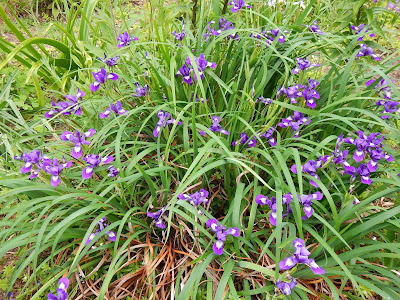 Throughout his life Mitchell was a proponent of using native plants in home gardens, and he was a particular proponent of Pacific coast native iris. He took great pride in the plantings of PCNs in his own garden, and had a large collection of various forms of Iris innominata and Iris douglasiana. In recognition of his support of Pacific coast iris, the annual award for the best Pacific coast iris introduction is named in his honor. I would like to thank the American Iris Society, the Society for Pacific Coast Native Iris, and my wife Bonnie Petheram for information used in this blog. Bonnie researched materials on Sydney B. Mitchell in his collection of papers archived at the Bancroft Library at UC Berkeley. What are your favorite Sydney B. Mitchell introductions?